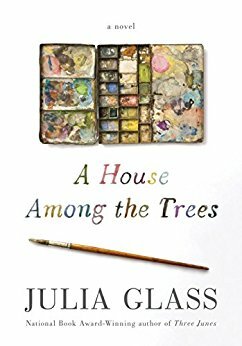 Julia Glass is the author of the new novel A House Among the Trees. Her other books include the bestselling Three Junes and I See You Everywhere. 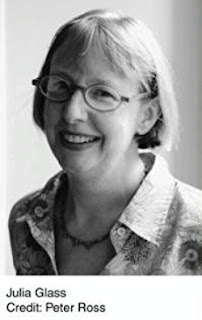 She is a Distinguished Writer in Residence at Emerson College, and she lives in Marblehead, Massachusetts. Q: One of the themes you address in your book is artistic creativity and how it affects your characters Mort, the children’s book author, and Nick, the actor who’s playing Mort in a film. Do you think their experiences of creating art are similar, despite their different mediums? But we are both tasked with immersing ourselves in hearts and minds other than our own—and in making our characters come alive for the audience we want to entertain and move. So in that respect, Mort’s work is parallel to Nick’s, and it’s part of why they “bond” so quickly in their e-mail correspondence, prior to Lear’s sudden death, and why Mort entrusts Nick with a secret he needs to unburden. Yet the public quality of a successful actor’s work bestows on him genuine celebrity, which a writer’s work rarely does. I’m sure that even Maurice Sendak, who was the inspiration (though not the model) for Mort Lear, could walk down a busy street in New York City without being stopped for an autograph or its modern-day version, the selfie. Probably most authors cherish this anonymity—but not all. I am certain some would envy the Nick Greenes of the world, who are widely recognized, even adored, by total strangers. I think my character Mort, as he aged, had a craving for true stardom, which led him toward the folly of hubris. Q: As you mentioned, the issue of fame also arises in the novel. Why was that something you chose to explore, and how do you see it affecting your characters? 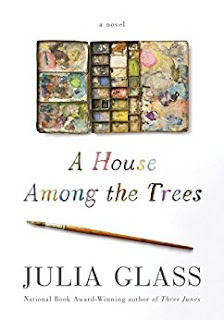 A: Fame—which comes in forms other than tabloid celebrity—is a subject I did not anticipate addressing when I started writing A House Among the Trees. What I loved, as I wrote my way in and got wise to this issue, is that I accidentally created two characters on opposite sides of their fame: one just emerging into its blinding brilliance, the other fighting (if subconsciously) to keep his place in the spotlight over decades of a career following the book that made him a household name. People often talk about achieving public recognition of their success as “having arrived.” But here’s the thing: the place at which you’ve arrived is as much like the peak of a mountain as it is like a fabulous party. It’s a precarious place, and if you want to stay there, it takes a lot of hard work—which can lead to vanities, insecurities, and even jealousies that threaten the integrity of your work. Remaining true to the talent, vision, and plain old hard work that earned you success and fame (and maybe wealth) is never easy. Readers of my novel see the consequences of this challenge in Mort Lear (and his loyal guardian, Tommy Daulair)—and the revelation of the challenge to Nick Greene. Merry Galarza, the museum curator who feels betrayed by Lear’s final wishes, suffers the collateral damage of fame. A: Titles do not come easily to me, and they often change. 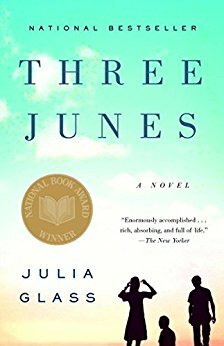 This novel was, in my mind, The Inseparables right up to my turning in the first finished draft. For various reasons, that title wasn’t viable. I was disappointed. My editor and I struggled with a number of alternatives, and then I began to think about how important Mort Lear’s house is throughout the entire story, not just as a setting but as the repository of Lear’s material and spiritual legacy. And it stands on a property that he bought because he loved all its marvellous old trees (of which the reader gets a kind of tour toward the end of the book). I have always been captivated by trees, and whenever I visit a new place, I’m constantly bugging people to find out the names of the ones that are new to me. What I didn’t realize when I settled on A House Among the Trees (choosing it over A House in the Woods, with its stronger fairy-tale allusions) was that I had unconsciously quoted the first line of Lear’s breakthrough picture book, Colorquake. A: I never know the end of a novel till I’m well into writing it—and still I may change my mind a few times. 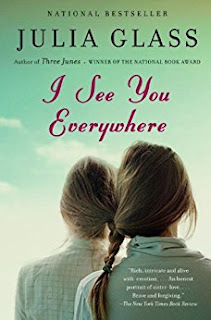 I write my novels the way that E. L. Doctorow claimed to write his: as if I’m driving in the dark, on a long journey, and all I can see is the short stretch of road illuminated by the headlights. A: Speaking of long journeys, I’m currently out on the road, promoting this novel, but once my touring winds down, I hope to return to the novel I set aside when these characters (Tommy, Morty, Nick, and Merry) knocked too loudly on my door for me to refuse them entry. 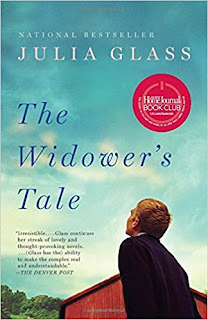 The suspended (I hope not abandoned) novel is set in Vigil Harbor, the seaside town I created at the end of The Widower’s Tale, and features at least one of the characters from that earlier novel. More I cannot say at this tender juncture! A: My favorite part of being on the road to promote a new book is getting to meet the booksellers who sell it and the readers who will read it (or, to my astonishment, have done so already!). I continue to learn new things about my own characters and themes as I answer questions and chat with fans—so far, in the Midwest and along the West Coast. But I have several remaining events back in the Boston area, as well as in New Orleans, Nashville, and at the National Book Festival in D.C. I’ll be adding a couple of other venues to my fall schedule as well. Anyone interested in dates and details should keep an eye on my author Facebook page.